Of course, there are several books on both sites. And MANA and Robbie Dean Press welcome friends, families, and professionals to peruse. Whichever one you may think may help you help others cope, we will get to you as soon as possible. And you can know that some of the funds earned from this purchase will go to help those in need. 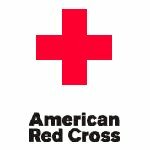 These funds will be donated to the American Red Cross.